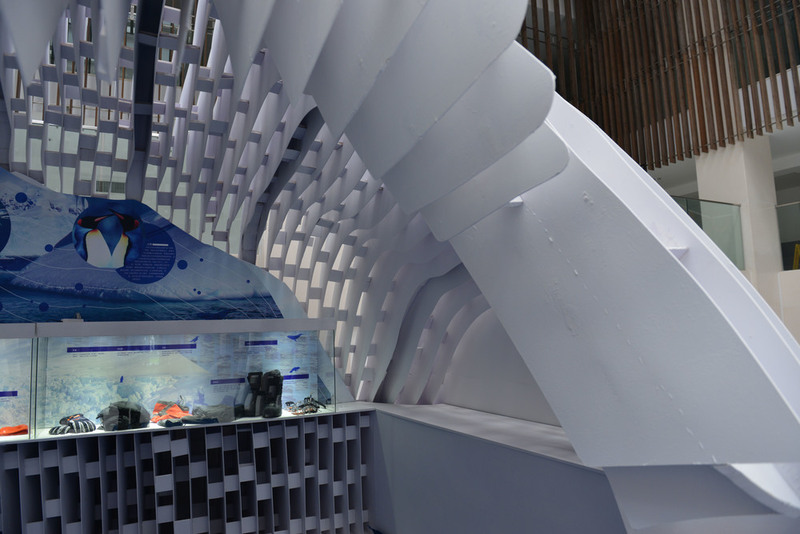 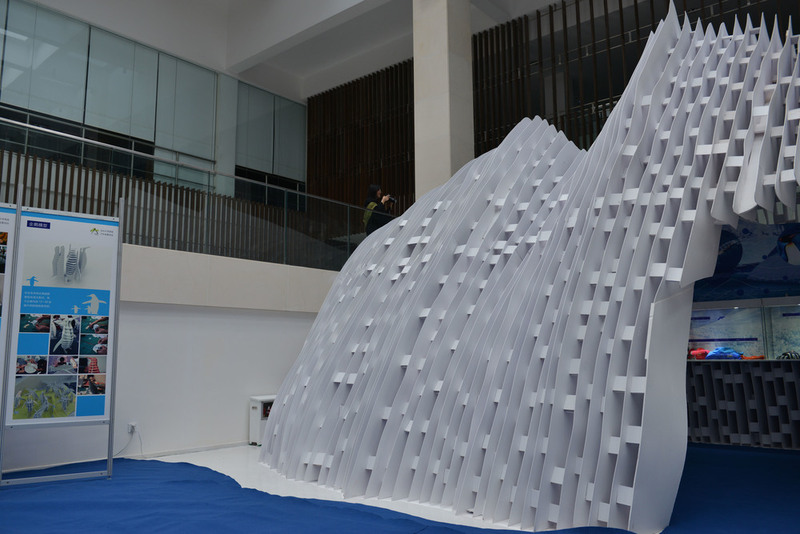 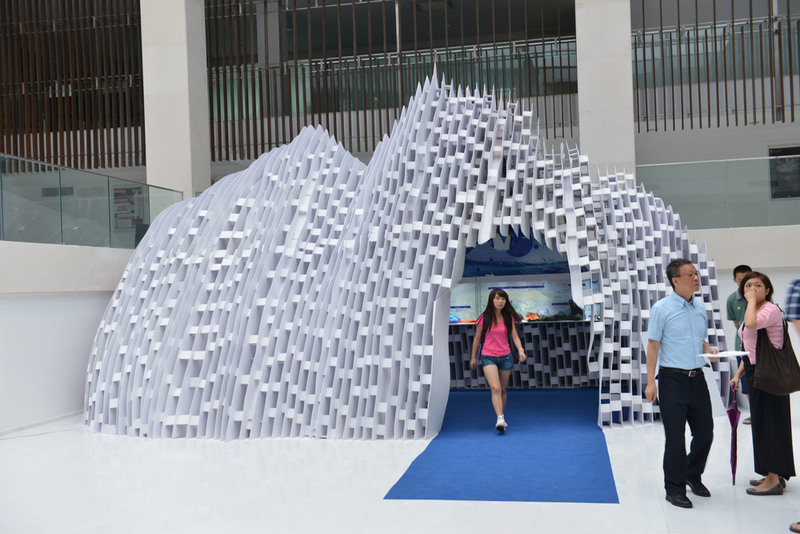 In comission for Shantou University, the exhibition White and Blue had been designed in 2013 to support the antarctic expedition of the Li Ka Shing Foundation. 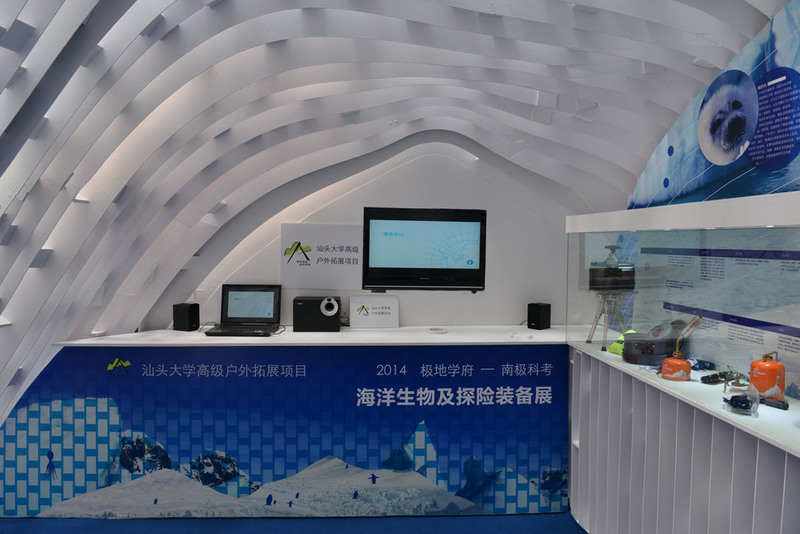 The expedition is a practical research program for STU REPRESENTaTIVES supported by the foundation. 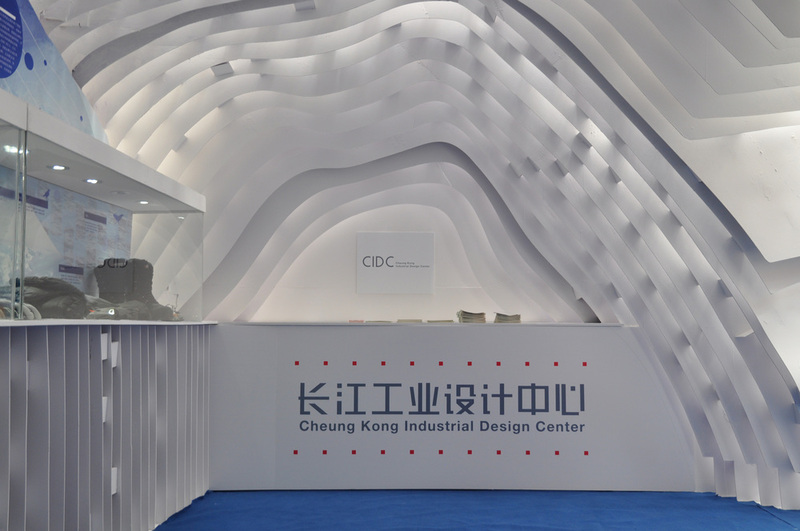 After the university had approved the design and increased the budget, the exhibition also had to meet higher expectations. 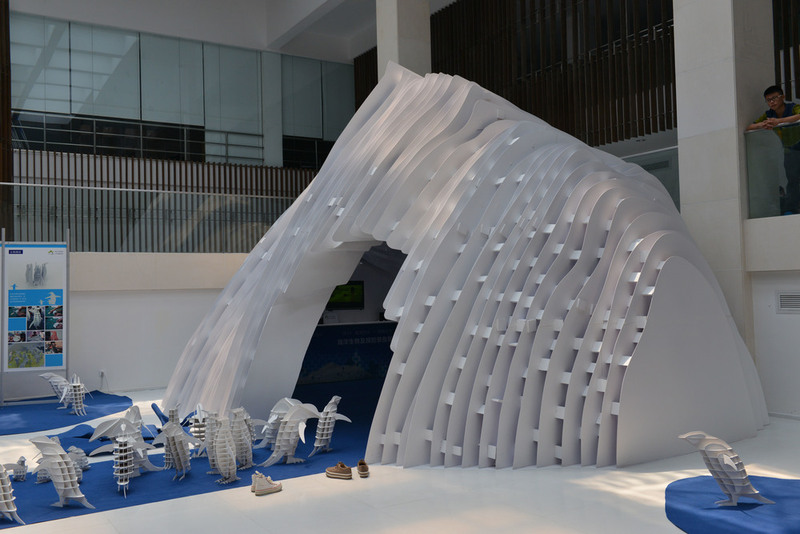 Shifting a 2D design into the third dimension created a stunning display area that matched perfectly with the research topic.